After two and a bit weeks travelling through the north-western states of the USA, we finally reached the end of the trail in Oregon, specifically the lovely, lively city of Portland. 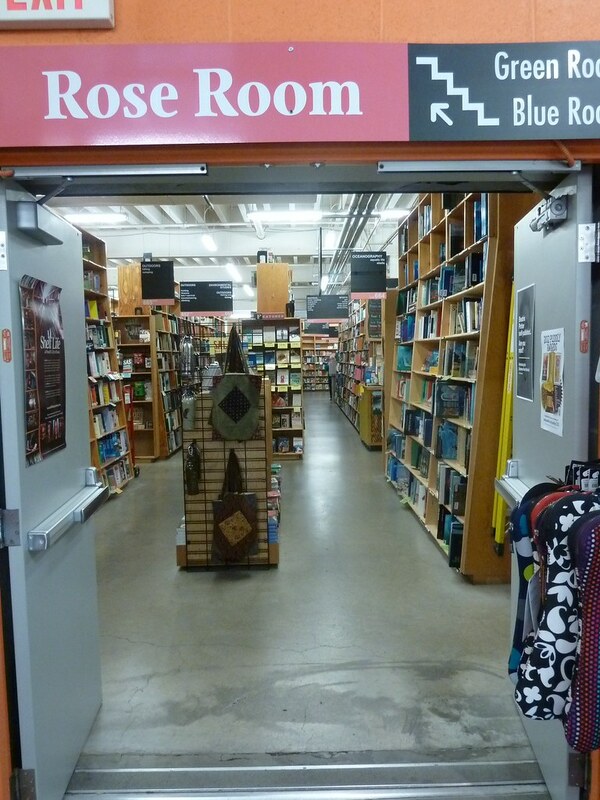 Here, as we had known for years, was that behemoth of bookstores, Powell's of Portland, and this was our destination as we took the Max transit system from our hotel on the east side of the Willamette River, across one of the steel bridges to downtown Portland. 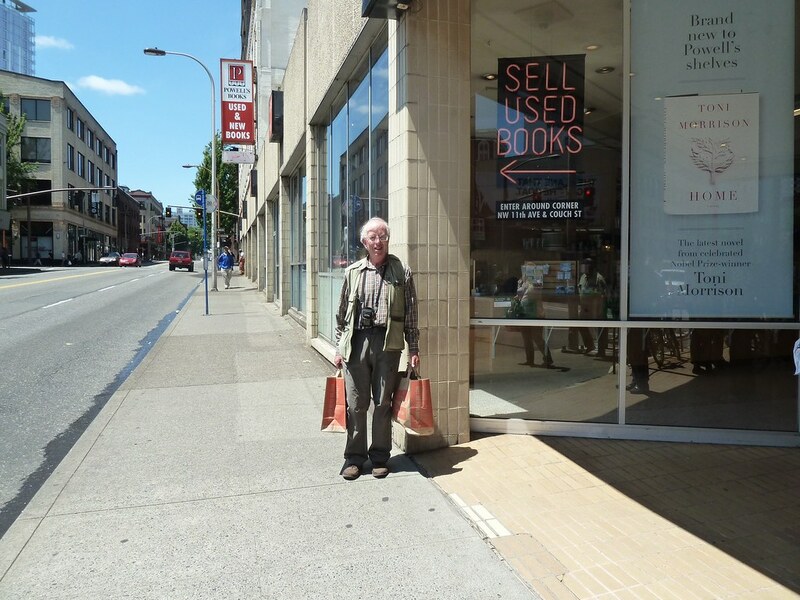 A short walk up Burnside Street to 10th Avenue and there it was, the bookstore of a million books, filling a whole city block. 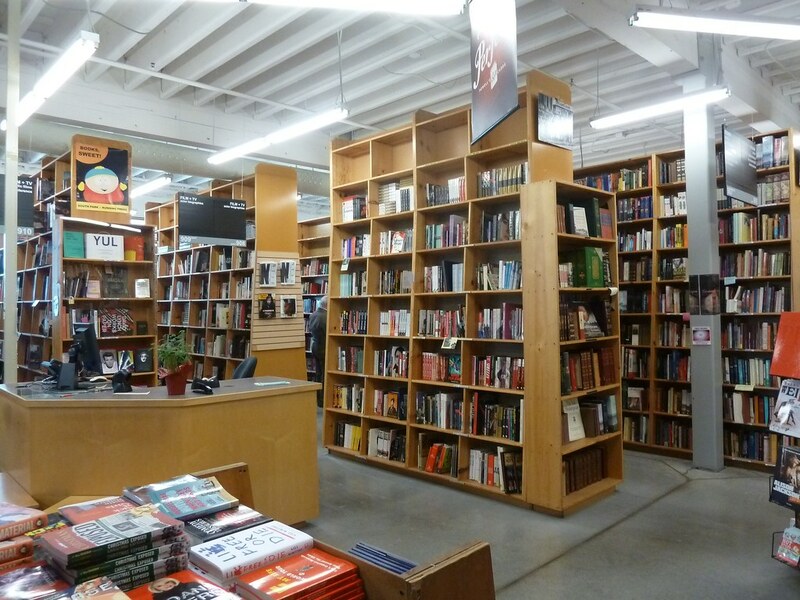 The first thing to do on entering Powell's is to pick up a map. 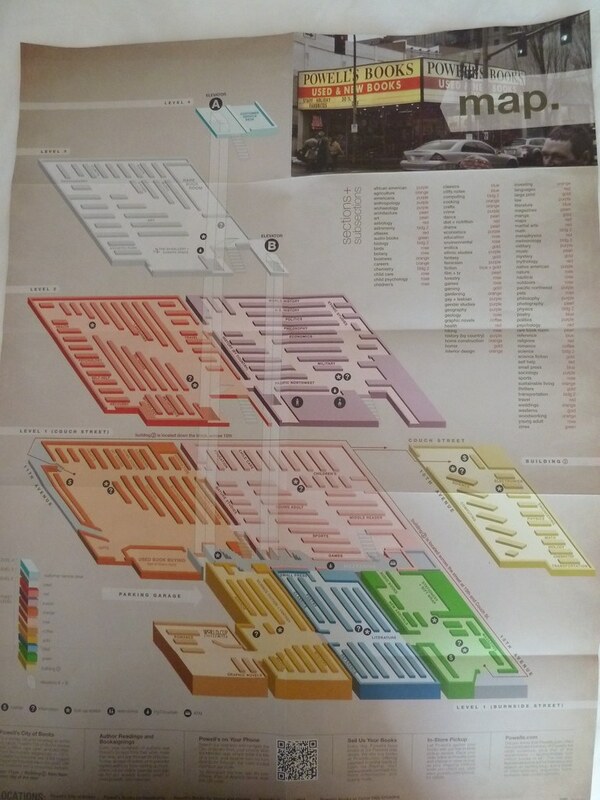 The maps are colour coded, to differentiate the separate subject areas; well, actually each room is more like a separate library within a library. I am told there are 22 rooms spread over four floors and I guess that must be true. 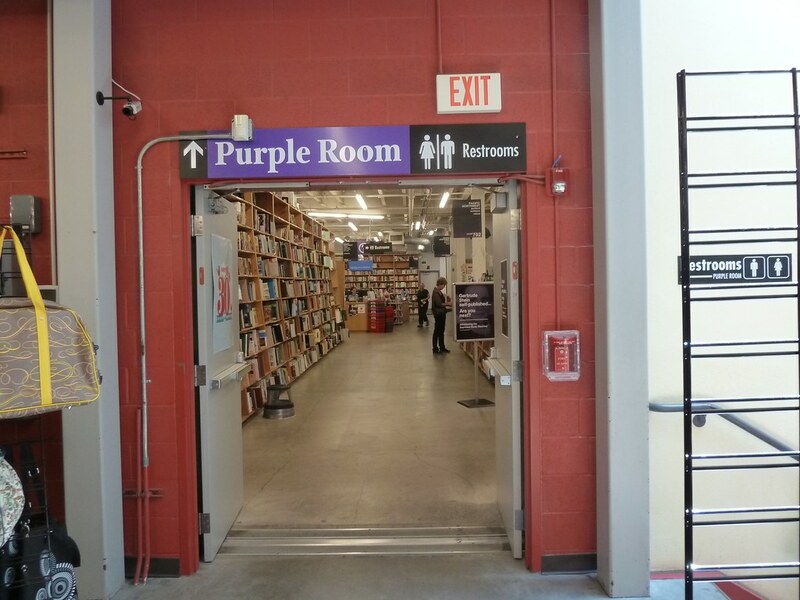 Now having found the room, say Literature (blue room), forget any thought of browsing. The shelves go on for ever, in beautifully ordered sequence, but A to B may well occupy several tens of metres of shelf. So you have to know which authors to home in on. 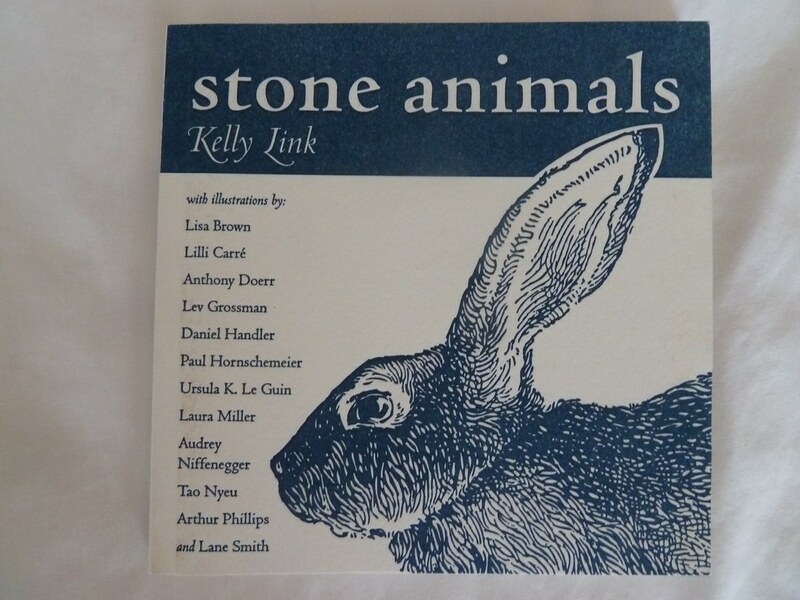 I was delighted to find two books by a fantasy writer Kelly Link, including an illustrated edition of her excellent short story "Stone Animals", one of my target books in Powell's. 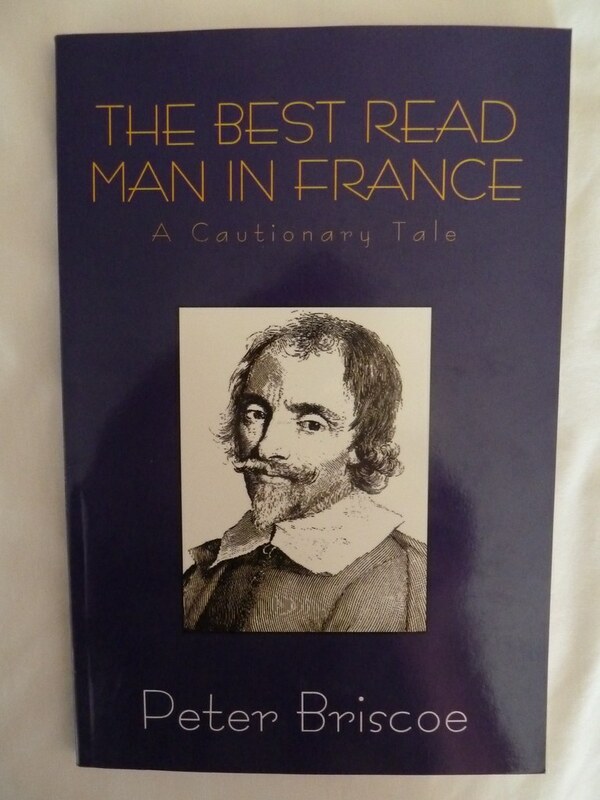 I also found a 'book about books', with much to say on the possible,decline of books in a digital age: "The Best Read Man in France" by Peter Briscoe.This was in the Small Press section of the store, another nice feature of the store. There is a rare book room (on Level 3) but this was somewhat disappointing and not at all like an antiquarian book room. There were the usual sets of authors such as Scott and a few heavy tomes of American history, but nothing genuinely old. However, that is a minor carp when all else is so excellent. 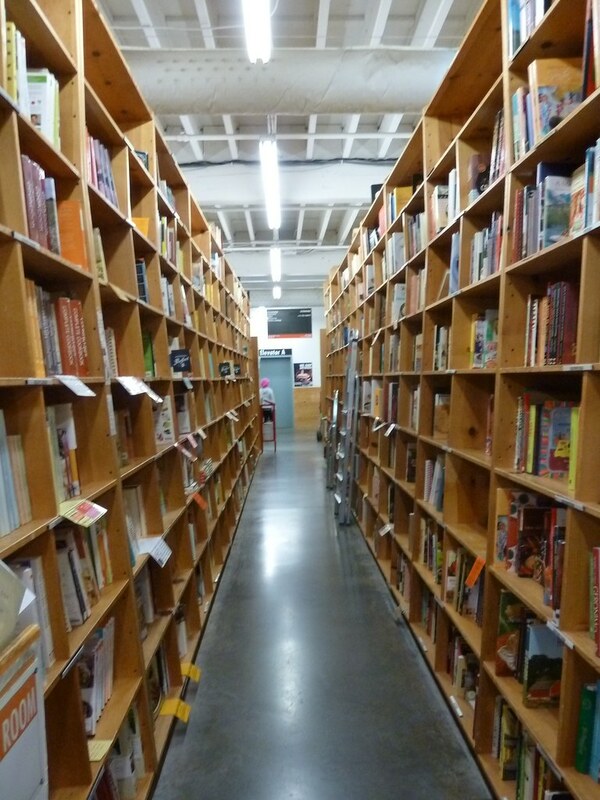 Now, having solved the mystery of navigating around Powell's I set myself the challenge of finding a very special book. 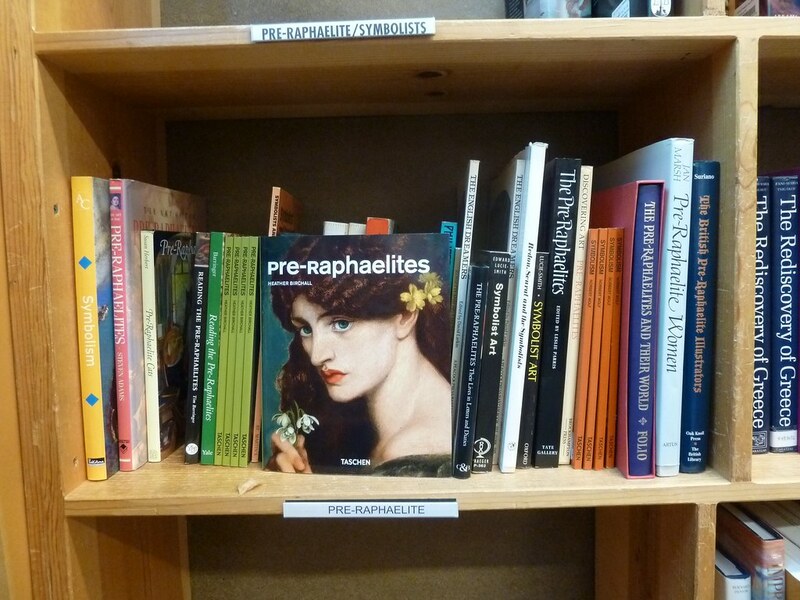 This is, in fact, a book written by my younger daughter, Heather, on the Pre-Raphaelites and published by Taschen. How proud I felt when I not only located Art in the Pearl Room on Level 3 but found a whole shelf labelled 'Pre-Raphaelite' with no less than 5 copies of Heather's book with its distinctive olive green spine. 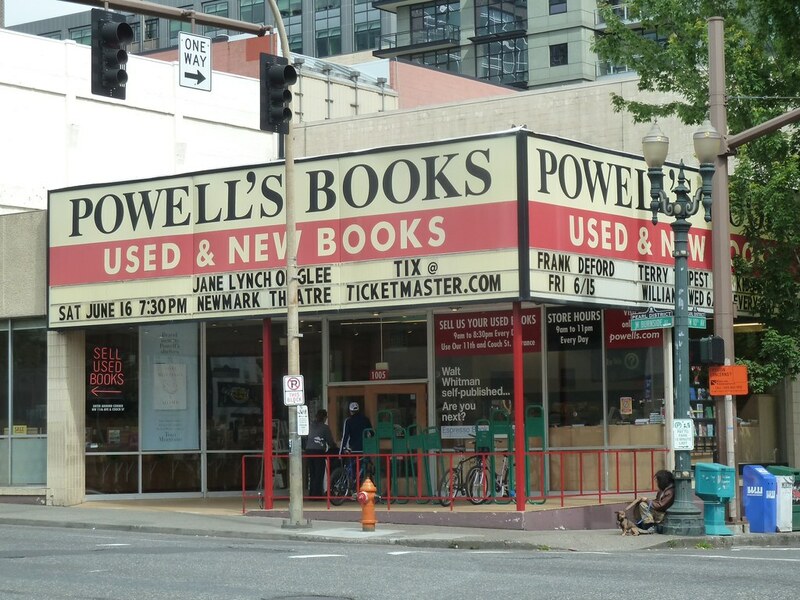 After that Powell's could do no wrong and I could leave with two bags of books and our Powell's map as a fond memory of a morning spent in one of the great bookshops of the world.